At the starting point of our soul’s embodied existence, we find a trail in the stars that reveals our initial archetypal endowment. It shows which archetypes of the world soul are most active in our psychospiritual attitudes, personality, strengths, and weaknesses. It shows how these archetypes interact with one another, creating our unique energetic archetypal blueprints. Understanding these blueprints brings deeper understanding of Self and empowers us to more fully engage life. Our development through further archetypal encounters in the world is informed and empowered by our initial endowment of psychospiritual attitudes. An archetypal natal chart reading therefore provides a new framework through which we can engage life. It is useful as a tool in better understanding oneself and, more importantly, in working with the dynamic archetypal encounters that continue throughout life, such as in dreams or synchronicities. This is for the Primary Natal Chart Reading: This reading considers all of the aspects of the planets, and identifies the main archetypal themes present. The report includes a detailed digital report (pdf) of the major archetypal patterns in your life, as seen in the planetary alignments. Along with a description of these archetypes, the report will include a detailed analysis of all the planetary alignments, as well as general information on the archetypal significance and associations of each planet to allow you to deepen your understanding of archetypal astrology. To order, click the "View More" button to be taken to our etsy shop, or contact us to arrange your reading with another payment method. This is for the Extended Natal Chart Reading: This is a much more detailed reading that includes relevant asteroids and astrological points. Typically, all of the aspects in the natal chart are moving toward one point that represents the ultimate goal of the world soul to be expressed in your embodied life. For some this might be the asteroid Chiron, for others, it might be Dark Lilith. This reading includes all of the information from the detailed report above and examines the significant aspects of other heavenly bodies, revealing the true depths of your sacred purpose and the toughest challenges you face in fulfilling this purpose. This reading combines the extended natal chart reading with the Spiritual Genealogy reading. Using both of these together allows you to be aware of your personal archetypal endowment and sacred purpose and how that fits into the sacred purpose of your family line. Archetypal astrology reveals the state of the universe when you were born. Your family line is what welcomed you into embodied being, and had the first impact on the activation of your archetypal endowment. Our ancestors provide the initial context and shaping of how our archetypal gifts and challenges will be expressed into the world or, conversely, how they will be challenged. This combined reading places your natal chart and family line into the context of one another, providing richer details on how to align with the world soul. In our spiritual genealogy readings, we draw on the ancient archetypal energies within early forms of writing, using either the Norse Runes or the Irish Ogham to discover the deep wisdom of spiritual ancestry within the pattern of a name. By reading the pattern of your name in the symbols of ancient and archetypal alphabets (Ogham or Runes) and journeying to the sacred grove of your primal ancestors, this reading unlocks the mystery of your spiritual heritage and empowers you to reach your full potential and align your ancestral line with the will of the cosmos. (Read more about the Ogham Spiritual Genealogy by following the link in the menu above). At the starting point of our soul’s embodied existence, we find a trail in the stars that reveals our initial archetypal endowment. It shows which archetypes of the world soul are most active in our psychospiritual attitudes, personality, strengths, and weaknesses. This reading includes the extended natal chart reading that includes relevant asteroids and astrological points. Typically, all of the aspects in the natal chart are moving toward one point that represents the ultimate goal of the world soul to be expressed in your embodied life. For some this might be the asteroid Chiron, for others, it might be Dark Lilith. This reading includes all of the information from the detailed report above and examines the significant aspects of other heavenly bodies, revealing the true depths of your sacred purpose and the toughest challenges you face in fulfilling this purpose. Dreams are messages from the soul. Steeped in imagery and symbolism, they are the promptings of your soul, attempting to make you aware of where you are in the journey toward fulfilment of your archetypal endowment. If you are having a recurring dream or have had a particularly powerful "big dream" that is confusing, this reading is for you. Interpreting these dreams in the context of an extended natal chart reading of your chart brings deeper clarity and understanding of your soul’s direction and empowers your decisions and choices on how to proceed. This reading interprets the symbols of your dream (as described by you) in context of a detailed archetypal reading of your natal chart, examining the significant aspects of the heavenly bodies, revealing the true depths of your sacred purpose and the toughest challenges you face in fulfilling this purpose. This reading is based on the psychological archetypes and Jungian theory. Though psychological in nature, they are not meant as a form of therapy but as a means of illumination of the deeper currents of the psyche. The goal of the combined reading is to provide insight into your question through reading the archetypal energies of your astrological birth chart and synthesizing the information in that blueprint with the advice provided by the ogham fews drawn. It is our hope that all reports we write bring each querent in better alignment with the will of their soul, their connection to the web of existence that is the anima mundi. -In-depth breakdown of reading's components such as each ogham few meaning, relevant archetypal aspect meaning, etc. To order, click the view more button below to go to our etsy shop. The goal of the combined reading is to provide insight into your question through reading the archetypal energies of your astrological birth chart and synthesizing the information in that blueprint with the advice provided by the runes drawn. It is our hope that all reports we write bring each querent in better alignment with the will of their soul, their connection to the web of existence that is the anima mundi. -In-depth breakdown of reading's components such as each rune meaning, relevant archetypal aspect meaning, etc. The goal of the combined reading is to provide insight into your question through reading the archetypal energies of your astrological birth chart and synthesizing the information in that blueprint with the advice provided by the cards drawn. It is our hope that all reports we write bring each querent in better alignment with the will of their soul, their connection to the web of existence that is the anima mundi. -In-depth breakdown of reading's components such as each card meaning, relevant archetypal aspect meaning, etc. To order, click the “view more” button below to go to our etsy shop. Depending on the type of reading, these readings consider all of relevant symbolic associations, such as the alignments (aspects) of the planets or other heavenly bodies, the letters of the Ogham, dreams, and their interplay with one another to identify the main archetypal themes. These are compiled in a detailed digital report (pdf) that illuminates the major archetypal patterns in your life. Along with a description of these archetypes, the report will include a detailed analysis of all the planetary alignments, as well as general information on the archetypal significance and associations of each planet to allow you to deepen your understanding of archetypal astrology. The price also includes three follow-up questions per email if you need any clarification. The alignment of the universe at the moment of your birth is a primal event of synchronicity. Your birth and the constellation of the stars at that moment reflect one another and are both the results of the movement of the anima mundi, or world soul.
. As a depth psychological approach to astrology, archetypal astrology is both very similar to and very different from traditional astrology. Archetypal astrology considers the unconscious psyche, especially the collective unconscious, as a primary factor in astrological analysis. Archetypal astrology is not literally predictive, but archetypally and psychospiritually predictive. An archetypal natal chart reading is a snapshot, so to speak, of a person’s initial archetypal and psychospiritual endowment. It isn’t only a snapshot though. It is the framework through which we engage life. Our development through further archetypal encounters in the world is informed and empowered by this initial endowment of psychospiritual attitudes. It is useful as a tool in better understanding oneself and, more importantly, in working with the dynamic archetypal encounters that continue throughout life.
. The focus of archetypal astrology is on the archetypal qualities associated with the planets and their alignment, or aspect, to other planets. It is based on the new science view that psyche and matter are connected in a web of existence. This goes back to indigenous and shamanic worldviews and, more recently, to Jung’s research into the collective unconscious, the archetypes, and synchronicity. Over the years, Jung’s discoveries and theories of these evolved as his research deepened our understanding of psyche. It became clear that the collective unconscious was not a local copy issued to each new individual but a metaphysical field in which each individual existed. The collective unconscious surrounds and connects the entire cosmos, it is an autonomous force that has purpose and we are able, through our personal psyche, to come into relationship with it. Further, the collective unconscious is comprised of pre-existing psychological patterns, known as archetypes. These are psychoid in nature—being both matter and spirit simultaneously. This is the source of the synchronous event of your birth and the alignment of the planets at that moment (indeed for all events of synchronicity). This connection is being proven by the new sciences, in fact, Jung corresponded with the physicist Wolfgang Pauli on these matters already in the early 20th century.
. As the psyche moves, so does the physical universe, and vice-versa, because of the psychoid nature of the archetypes. This begins to suggest the ground of archetypal astrology—your birth and the alignment of the planets are both the result of the very same movement of the psyche/universe. Rather than being literally predictive, as in traditional astrology, archetypal astrology is archetypally or psychospiritually predictive. The alignments of the planets at the moment of birth comprise a synchronous expression of the state of the psychoid cosmos at that precise moment. As the Hermetic concept states: as above, so below. The planetary alignments reveal your initial archetypal endowment that is the embodiment of the state of the psychoid cosmos in your soul and body. Archetypal astrology interprets these alignments to reveal your archetypal endowment in terms of personality traits, attitudes, and inherent proclivities and strengths, as well as challenges. An archetypal natal chart reading is archetypally descriptive and predictive, as opposed to the literally predictive nature of traditional astrology. It is our hope that all of our work helps to bring our customers into better alignment with the will of their soul, their connection to the web of existence that is the anima mundi. All of our work, whether readings or crafting ritual tools, is done jointly. In this way the sacred feminine and the sacred masculine infuses all we do. This is the world soul in action, a balancing of energy, and is the path to healing and soul retrieval and integration. Our names are our most primary connection to the realm of the ancestors. This realm holds much wisdom for us – our ancestors offer us guidance and inspiration. Within our family line also lie hidden the relationships of our family to the world soul. Each family line is an event of synchronicity moving within the wider spheres of the cosmos, of psyche and world. Name giving, whether of the family or an individual, is an archetypal event that mirrors the state of the cosmos at the moment of naming. Name giving is a movement of the universe and psyche that reflects the state of the universe at the moment the name is given – there are no coincidences. Name giving is an archetypal and synchronous act of creativity that manifests the anima mundi in our identity. Utilizing a systematic and intuitive, shamanic approach, our Spiritual Genealogy readings reach into the deeper purpose of your spiritual ancestral heritage. Name giving and writing are both deeply archetypal acts of creativity. In our spiritual genealogy readings, we draw on the ancient archetypal energies within early forms of writing, using either the Norse Runes or the Irish Ogham to discover the deep wisdom of spiritual ancestry within the pattern of a name. By reading the pattern of your name in the symbols of ancient and archetypal alphabets (Ogham or Runes) and journeying to the sacred grove of your primal ancestors, this reading unlocks the mystery of your spiritual heritage and empowers you to reach your full potential and align your ancestral line with the will of the cosmos. In this reading, the significant pattern of your name will be interpreted using the ancient Irish alphabet known as the Ogham. 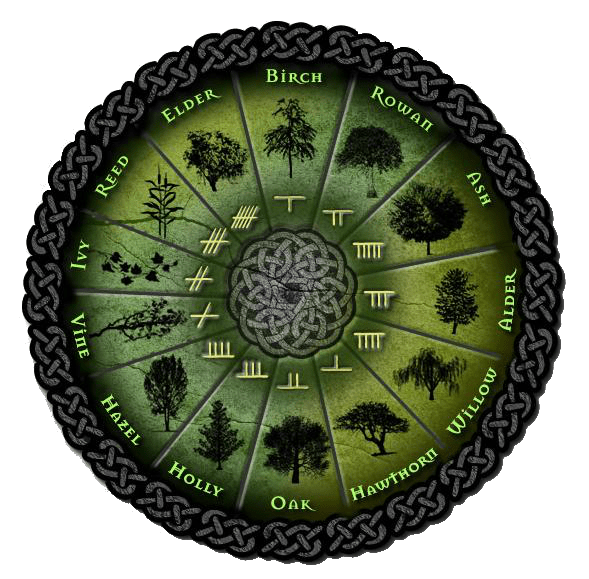 In the Ogham, each significant letter of your name is associated with a tree, and through that to mysterious symbols of mythology and thus directly to the world soul. By then analyzing the relationship between the archetypal energies of these letters, your sacred soul purpose can be discerned. We can do first name analysis, last name analysis, or full analysis. There are at least 2 significant letters in the pattern of each name, and no more than 3 Or 4 significant letters to each name, regardless of how long it is. Though used by ancient druids for divination, the use of Ogham in spiritual genealogy is a contemporary development. It relies on the symbolism of the Ogham and the pattern of your name but, more importantly, on our spirit journey to the sacred grove of your deep and primal ancestry. When you place your order please provide us with the name(s) you wish to have included in the reading. In this reading, the significant pattern of your name will be interpreted using the ancient Norse alphabet of Runes. In the set of Runes, each significant letter of your name is associated with certain qualities, and through that to mysterious symbols of mythology and thus directly to the world soul. By then analyzing the relationship between the archetypal energies of these letters, your sacred soul purpose can be discerned. We can do first name analysis, last name analysis, or full analysis. There are at least 2 significant letters in the pattern of each name, and no more than 3 or 4 significant letters to each name, regardless of how long it is. Delivery time: as we both contribute to the reading and the journey, and since there is no cut and paste involved, this reading usually takes 5-7 days. We thank you for your patience. Our connection to the earth is intimate. Nurtured by the sun and moon, vast energies of inspiration live in the earth, air, water, and fire of Gaia. This has given rise to human culture, language, myth, and other symbolic ways of knowing the world and the world soul. 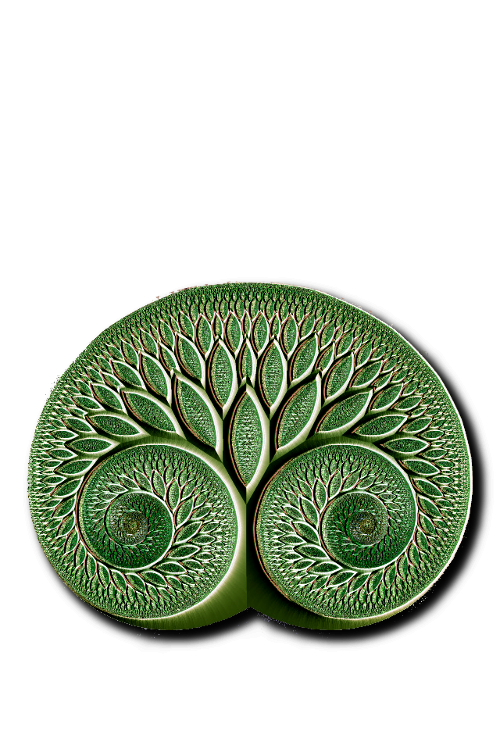 All of human experience, like trees, are rooted in this grand ecology of Gaia’s deep well of wisdom. Through these symbols, we can honor and partake in the ever present earth wisdom, and intentionally move toward our soulful potential and re-inhabit the harmonious relationship to the earth, our great mother. In service of this goal, we provide intuitive readings and interpretations of the earth based and age-old wisdom that is preserved in traditional symbols. Working with symbolic images such as those found in Myth and Story, the Ogham and Runes, or The Elements and Tarot (or other oracular cards), these readings are meant to serve as an aid in your quest for personal growth, transformation, and individuation. As such they are crafted with care. Like many of our other readings, these work with the guidance of spirit in conjunction with traditional symbolism, but these readings focus intently on traditional lore that has grown out of humanity’s connection to the earth. This brings primal and archetypal wisdom to the fore that can be incredibly relevant to contemporary world. In this category of readings, the querent’s intention is set in motion by the selection of a medium for the reading. Through the symbolic imagery of the chosen medium together with the archetypal lore, the reading becomes a soul working, a message of multi-layered meaning from the world soul with the purpose of healing and transformation. 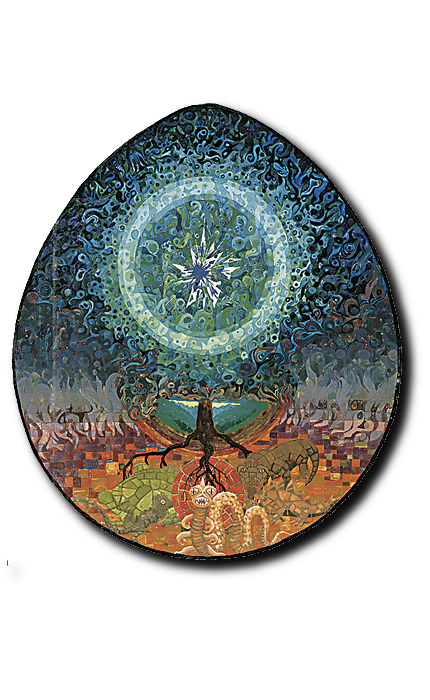 Like our other work, these readings are a weaving of our two energies in dialogue with the spirit of the querent as the sacred third, mirroring the alchemical and synchronistic design of the world soul. This reading works deeply within the layers of Celtic mythology. After you set the process in motion by selecting one of the "spreads" below, we undertake a shamanic journey into the story to work with the archetypal energies of the world soul in relation to your area of inquiry. Pick one phrase from the nine below that resonates with you. These correspond to certain myths from Celtic mythology. To order, click the view more button below to be taken to our etsy shop. 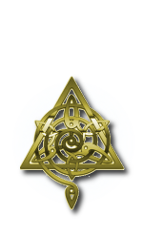 The goal of this reading is to provide insight into your question through tapping into the ancient and modern Celtic spirit embodied in the cards drawn. It is our hope that all reports we write bring each querent in better alignment with the will of their soul, their connection to the web of existence that is the anima mundi. The number of cards for this basic traditional reading can be no less than 3 and no more than 7. Appropriate spread design is intuited by the reader after the querent chooses a number. For the extended traditional reading, the querent chooses a number between 8 and 15. -Select the number cards between 3 and 7; for the extended variation please choose a number between 8 and 15. The goal of this reading is to provide insight into your embodied expression of your soul's purpose through the symbolic language in the runes drawn and the otherworld messages in the shamanic journey. It is our hope that all reports we write bring each querent in better alignment with the will of their soul, their connection to the web of existence that is the anima mundi. The number of runes that need to be drawn will be ritually intuited for each individual reading. Based on the concepts of synchronicity and the anima mundi, the number of runes in the reading will be exactly what is needed for that querent at that time. 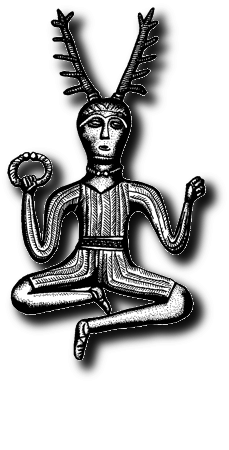 The standard reading will include no less than 3 and no more than 5 runes; fewer than 3 is not sufficient in detail for a reading of this depth and more than 5 becomes excessively complicated. However, there is the option of the custom reading for querents desiring a specific number higher than 5. See purchase options in our shop for additional runes. -A complete report of our journey through the realms of the world soul to get first-hand information about the highly individualized nature of the reading’s message. This will be in the form of a journal entry, possibly including sketches and other primitive artwork. -A thorough analytical interpretation including all of these elements, providing you with carefully distilled insight into your reading for your future use in work towards personal growth and individuation. The goal of this reading is to provide insight into your embodied expression of your soul's purpose through the symbolic language in the ogham fews drawn and the otherworld messages in the shamanic journey. It is our hope that all reports we write bring each querent in better alignment with the will of their soul, their connection to the web of existence that is the anima mundi. The number of ogham fews that need to be drawn will be ritually intuited for each individual reading. Based on the concepts of synchronicity and the anima mundi, the number of ogham fews in the reading will be exactly what is needed for that querent at that time. 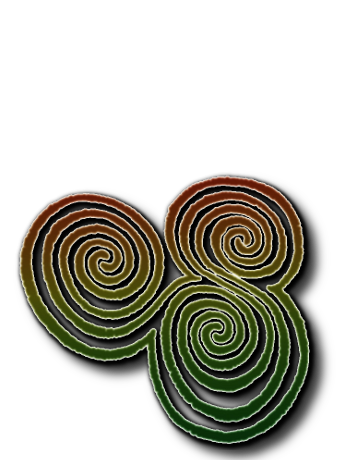 The standard reading will include no less than 3 and no more than 5 ogham fews; fewer than 3 is not sufficient in detail for a reading of this depth and more than 5 becomes excessively complicated. However, there is the option of the custom reading for querents desiring a specific number higher than 5. See purchase options for additional runes. -The images and attributes of the specific set of the chosen medium used included in the report, listing which deck was used for Cards or the material of the runes such as Green Jasper stone or Birch wood for Nordic Runes along with corresponding photos, for example. -Detailed descriptions of traditional meanings and associations for each Ogham few, Nordic rune, or card that appears in the reading. -A complete report of our journey through the layers of the world soul to get first-hand information about the highly individualized nature of the reading’s message. This will be in the form of a journal entry, possibly including sketches and other primitive artwork. -An in-depth analytical interpretation including all of these elements, providing you with carefully distilled insight into your reading for your future use in work towards personal growth and individuation. Delivery time: Because each of us individually and collaboratively contribute to all aspects of the reading as well as no “cut and paste” being involved, this reading usually takes 5-7 days. We thank you for your patience. Your reading is especially powerful in conjunction with an archetypal astrology reading. In addition to our readings, we also craft sacred druidic and shamanic ritual tools such as talking sticks, rattles, drums, or divination tools such as ogham staves or rune stones. The crafting of our ritual and divination tools follows a deeply shamanic and archetypal process that seeks to align with the spirits of the natural world, the elements, and the movement of the earth. The process is informed by druidic, shamanic, and other spiritual traditions, and we seek to deeply observe holidays and deities relevant to the tool we are crafting. See some of our past projects below and check our Etsy shop for current offerings. Harvesting. All of our tools are of natural materials. This means that we must take them from nature, and in doing so, we work with the spirits and in considerations of modern ecological knowledge. The harvesting takes different forms, but always is in deep observance of the spirits of nature. Usually the harvest is natural and takes materials that have already fallen, such as branches or leaves, asking for permission and clarity from the spirits of place. When we do remove something from a living entity (such as for cedar smudge bundles), we always commune with the spirit of that entity, asking permission and following instructions of what to take and from where. We then make votive offerings of thanks to that spirit. Sitting. We usually sit with the harvested materials for some time. This involves also allowing it to sit with us. After smudging and prayer, We will place it on our altar or some other meaningful place and allow it to come to rest. This part of the process allows us to also rest, and detach from our intentions and beliefs on what the piece should become. In this place of stillness, we can become aware instead of the piece’s own intentions on what it wants to become. There is no set time for this, it sometimes happens very quickly, other pieces have taken several months. Dialogue. After this period, we begin a more active dialogue with the piece. This might include some initial working such as whittling or sanding, or just sitting while holding the piece, examining it and listening for the spirit in it. This begins the hollow bone creativity in which we more consciously abandon our intentions and hands, surrendering them to the spirit. Jung called this form of creativity visionary creativity. Creation. The piece is then finished in a process of continued dialogue and hollow bone creativity. Both of us work on the piece, in different parts of the process, as called by spirit. Throughout the process, the piece is smudged and charged, and accompanied by prayer and meditation. we have made different sets of Ogham staves for use in divination and ritual. This miniature standing stone was crafted using a stone I found near one of the few remaining stone circles in Celtic Germany. Many are not aware but there was a very strong Celtic presence in ancient Germany - massive burial mounds have been found, such as the one at Glauburg, and there are many Celtic archaeological sites exist. With the stone I found, I used decoupage for the tree of life. This makes a wonderful altar and ritual piece, reminding us of the connection and interdependence of all that is. A rustic set of runes, woodburned onto birch slices, with the bark left on. According to the lore, Odin recieved the runes after hanging on the world tree, Yggdrasili, for nine days and nights. On the ninth night (Walpurgis), Odin sacrificed himself to gain the wisdom of the runes to save the world from Ragnarok. Accordingly, these were crafted on Walpurgis Night after a ritual and meditation to Odin. Honoring the ancestors at your samhain ritual, and all through the year. A small pine box, woodburned with Huginn and Muginne and decorated with ogham and runes. Perfect for votive offerings or smudge bundles. This sacred object is intended as a talking stick in council. The shape of a naturally harvested piece of wood seemed ideal for some kind of carved ceremonial tool, and so began the work of whittling and sanding. It took a few weeks to get a sense of what it was the piece of wood wanted to become; ritual and quiet contemplation in places of natural beauty and inspiration helped facilitate the process. The main place that seemed to speak to the intent of this piece was the nemeton of Brighid’s Cross / Crane’s Cauldron, and other events of synchronicity that summer further reinforced the connection between the piece being formed to cranes/herons. Since we work mainly within an Irish Celtic-focused practice (with contributions from other Celtic and North Sea cultures), the Irish word chosen was ‘corr‘ (unaccented), said ‘cahr‘ (comparable to the English ‘o’ in its “short” vowel form such as in the word ‘hot’) and meaning ‘crane/heron’, seemed appropriate for part of the naming and carved themes for it. Other, more physical aspects of the wood piece were reminiscent of cranes/herons also. The upward curve in the middle suggested at a head with a long, spear-like beak, complete with a small knot of wood where the eye would likely be, and the long handle covered in bark seemed to differentiate from the head as perhaps a neck or the lithe body with its long legs. A strong resonance to the body and spirit of crane- or heron-like birds was definitely forming by this point. Because myths give flesh to a culture’s skeleton of cosmology, the next important step for us in the creative process was to ground these intuitions within the myths of our practice. In this search we found that cranes appear often in Celtic and Gaulish myth, several times in 3’s. For example, in the Irish book of Leinster, Midir, one of the Tuatha De Danann, has 3 cranes guarding his castle that rob any attackers of their will to fight. The Welsh Underworld, called Annwn (said ah-noon), is guarded at the entrance by 3 cranes. Also, the Trier stone and a carving in Paris both represent a bull with 3 cranes perched upon it (two on the back and one over the head in the photo to the left). Other prominent Celtic mythological references to cranes include the sea god Manannan mac Lir’s famous crane-bag, Fionn MacCumhail’s grandmother transforming into a crane to save the child hero from his father’s killers, and the four sons of the hag goddess, the Cailleach, being turned into cranes and only able to be restored by blood from a sacrificial bull. Cranes are often recognized for their ‘dancing’. After watching several videos of Sandhill Cranes, having chosen this species for its summer presence here in Michigan, there seemed to me to be 3 main positions to these dances: crouch/arch/coil, leap/spring/jump, and bow/dip/plunge. This discernment also aligned nicely with the mythological depictions of cranes in 3’s. Out of curiosity I searched for analogous words to these dancing positions in Irish. For crouching, coiling, or arching I thought the closest Irish translation would be ina stua for ‘arching’ in Irish, said approximately the way it is spelled. Jumping, springing, or leaping had a fairly straight forward translation as léim in Irish, said ‘lame’. The bowing, dipping, or plunging maneuver of the dance most closely appear to match the word tumadh in Irish, said ‘tuh-muh’. To add the symbols and decoration to the wood itself, we decided on using a wood burning tool kit. Other symbols that we used in addition to the cranes were the Awen, the Tree of Life / World Tree, stars and flames, spirals, and The Twins. We briefly considered adding many attachments such as feathers and beads and whatnot, but we settled for keeping things relatively simple and limited to natural materials such as metal, cloth, and stone as much as possible. In keeping with the theme of 3’s, we obtained three smoothed, spherical beads: one of Blue Kyanite for the ‘element’ of Sky, one of mixed Red and Green Garnet for Land, and one of Lapis Lazuli for Sea. Braiding together red (Land), black (Sea), and white (Sky) threads from sage bundles we had purchased and subsequently burned, we repurposed the threads to tie the beads to the wood and also to protect the edges of the bark from being too badly damaged by handling. The final piece added was a small chain repurposed from a bracelet with a metal fish with a spiral on each of its sides, a couple small beads, and a metal four-looped cross, to represent the Salmon of Wisdom referred to in both Welsh (story of Taliesin) and Irish (stories of Fionn MacCumhail) myth. All this having been done, the name still did not feel complete nor the purpose of this beautiful new tool established, so it was back to the myths and intuitions we went for guidance. Cranes were associated with messages and warnings; guardians, particularly of the Underworld/Otherworld; grandmothers, crones, and hags; and the druidic wisdom mysteries, all shown in Celtic myths and wider Celtic culture, so we finally settled on its main purpose to therefor be a talking stick to be used either with groups for discussion or for solitary contemplation of Mystery. The full name then was chosen to be ‘Corr Teanga’, said ‘cahr chahn-guh’ and meaning ‘language’ or the physical ‘tongue’, or Crane’s Tongue, and carved into the wood in Ogham letters. The whole process began some time in April 2014 and came to a close some time in August 2014. All of our work intends to bring our customers closer to Soul, and as a whole, Humanity closer to the natural world and the world soul. Our divination and ritual tool crafting are large parts of this, but there is more. Based on our more than two decades of experience in druidic and shamanic practice, we are also available for druidic and shamanic services, such as land reading or blessing, soul retrieval and integration, psychopomp services, dream interpretation, and more. Please contact us with your specific needs. Please use the form below to contact us. If you would like to use this form to order one of our services, please be sure to indicate which service you are interested in. We will be back in touch shortly to arrange everything. Thanks. As an antidote to Balor’s poisonous eye of Irish mythology that killed anything he looked at, The Druid Eye works to deeply honor and restore spiritual and mythic life. 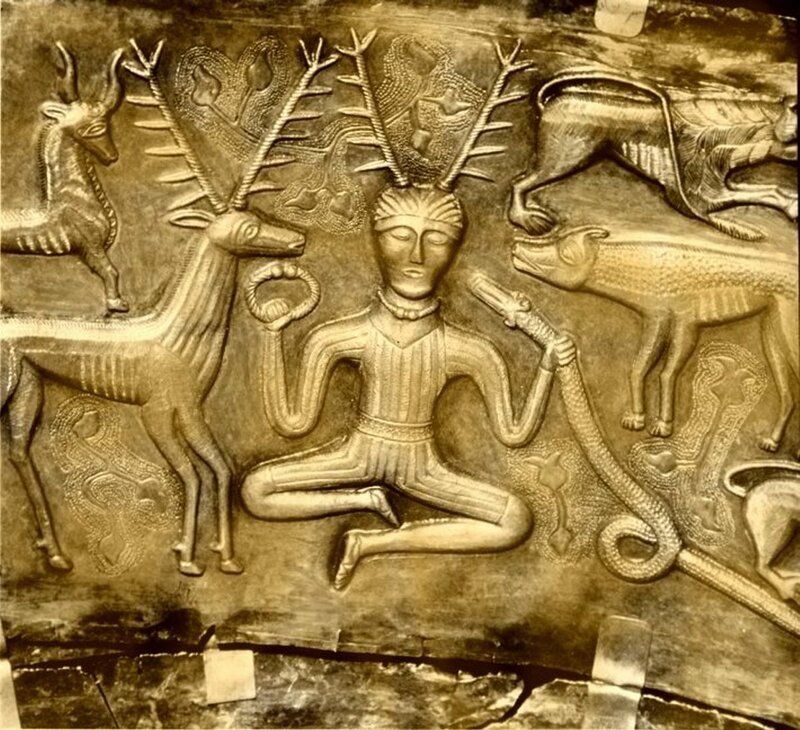 Rooted in the ancient Celtic mystery traditions, our work is a contemporary expression of Druidry that intends to form a doorway into a fuller life in harmony with the earth and with the world soul. Reestablishing a spiritual and mythic worldview is an essential task as we move into a new era of human psychospiritual evolution. Our work aims to support this transition and provide a foundation for re-inhabiting authentic relationships to self, other, and world. All of our work is aimed at nurturing an integrated dialogue in a polarized world that falsely separates masculine and feminine, spirit and matter, humans and earth, and many other forms of false dualities. 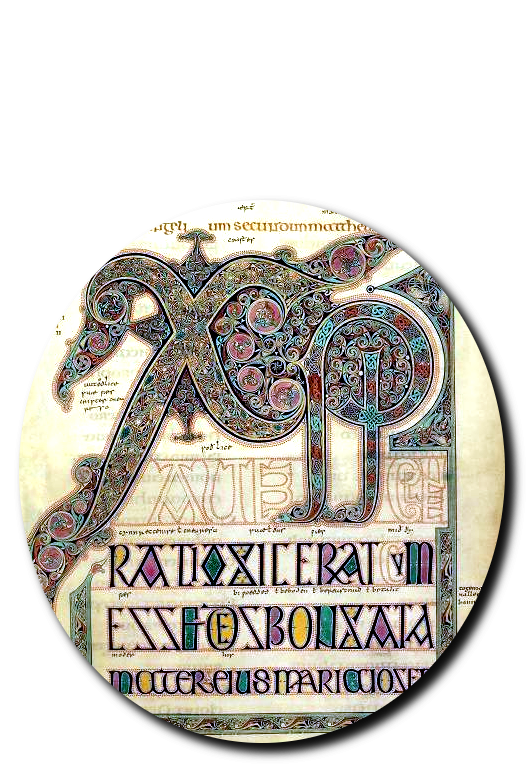 The overarching goal of our work is to help our customers come into better alignment with the will of their soul, their connection to the web of existence that is the anima mundi, known in the druidic tradition as the Oran Mor, The Great Song. We see this as a sacred dialogue, and we strive to provide a container for this dialogue. All of our work is done jointly, allowing the sacred feminine and the sacred masculine to infuse all we do. This is the world soul in action, a balancing of energy, and is the path to healing – the antidote to Balor’s poisonous eye. All of our work is based on the following assumptions. All of our work, whether readings or crafting of ritual tools (and even this about text! ), is done jointly. In this way the Hieros Gamos - the sacred marriage - brings the divine feminine and the divine masculine into all we do. This is the world soul in action, a balancing of energy, and is the path to healing and soul retrieval and integration. We use various divination tools in conjunction with shamanic journeying. Thus, our readings are a process, not a matter of sitting down for 15 minutes and interpreting the symbols based on their traditional meaning. Our reports are not cut and paste compilations of what someone else says; they are reports of our shamanic work. While we can provide a traditional reading, we feel this is not sufficient, nor the true meaning of divination. Symbols can’t always be interpreted on the basis of a standard cultural understanding; they change over time, and especially within individual context – the traditional symbols do not always mean the same for everyone. In our readings, we work closely with what is in direct communication with the spirits – the archetypal symbols of soul and world. We do take traditional meanings into account, but only after we have journeyed to the otherworld and worked with the spirits to receive the true message of the reading. …in that they unify opposites. Both of us are involved in the reading and as such they all touch into the divine feminine and divine masculine, uniting them in a new form of intuitive reading. Additionally, our readings work with spirit and matter. The result is a fuller, more nuanced reading. All of our readings are harmonic. In our efforts to work toward these goals, we bring our many years of combined practice in the druidic and shamanic traditions together. We are both members in the Ovate grade of the Order of Bards, Ovates, and Druids, and together, we operate the Silver Branch Grove, a druidic and shamanic seed group of the OBOD. We are also members of the Grand Rapids Druidry meetup on meetup.com. As a part of his continuous engagement with his own soul journey, James is committed to helping others in theirs. This takes many forms. From ecological to artistic to philosophical to divination, James is active in all forms of druidic practice. Degreed in Philosophy and Archetypal Human Science, he is a poet, a photographer, a nature guide and spiritual ecologist, an archetypal mythologist, and a PhD student in depth psychology. He has been a druidic practitioner for two decades, engaging the symbolic layers of soul in the Great Song, the soul of the world, ever striving through mystical experience to uncover and integrate Soul's messages through divination and interpretation of archetypal symbolism found in in the natural world, oracular tools, dreams, and synchronicities.